Today’s business goals require the smart use of both activation and brand building. Coca-Cola is a perfect example of this marketing direction. At a time when more and more advertising is shifting to short-term activation, Coke and others are holding steady to a mix of the two: building the brand and making the necessary push to activation. One medium that has broad reach and enables brands to target existing customers and potential consumers is out-of-home (OOH) advertising. What used to be thought of as billboards and transit advertising has taken a big jump into the digital world. Over 70 percent of all consumers are exposed to OOH advertising (Source: MarTech Advisors, 2018). OOH now lives where data, technology and physical infrastructure seamlessly connect to where your customer/prospect lives, efficiently and effectively. 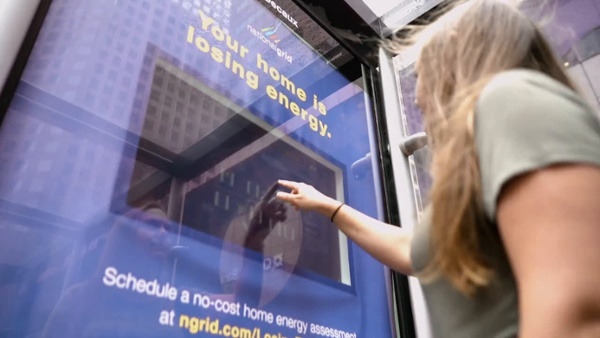 National Grid understood that its customers were losing up to 20 percent of their energy through leaks in various small hidden areas in their home. We all know that our homes leak energy, but 20 percent? That’s a statistic worth paying attention to, and National Grid wanted to make sure its customers did just that. What is your OOH approach? Are you using OOH for both activation and brand building? The strategy is clear—after all, who doesn’t want to be part of a brand with the value of Coke?